A very good entry point on price for a very consistent load by a high quality manufacturer, meaning you get to shoot for less, and expect more of your ammo. 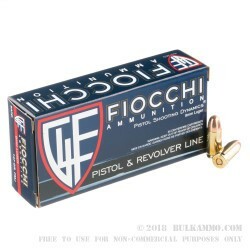 The Fiocchi 147 grain full metal jacket 9mm load is a plain vanilla load that offers excellent cycling in all firearms on the 9mm platform and the cost to play around with it is at or below the cheapest new ammo in the market for range use. It often is lower priced than range reloads. 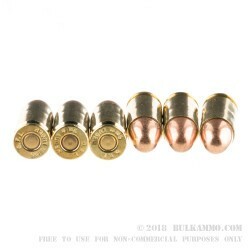 The company makes a compelling call to consumers by producing a very solid performing round that offers reloadability and very good accuracy for such a cheap price. Fiocchi has been at this game for a long time, more than 130 years of producing ammunition, and has in the past few decades, cemented itself as a high quality supplier of value priced ammunition to American shooters. Their recent innovation and past reliability on their more mainstream offerings has made them a company to look out for. The offerings available from Fiocchi are consistently high quality, reliably made and offer excellent value. The accuracy is better than average and the components are all controlled and manufactured by Fiocchi, so the dips in the market don’t affect their ability to produce ammunition. Q: What is the muzzle FPS? I have a glock 19 and after testing out HUSH ammo by Freedom Munitions, i experienced that particular ammo is not hot enough for my subcompact pistol. 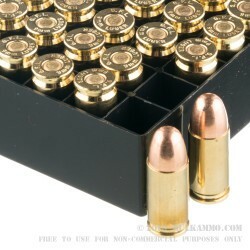 I read online that this ammo may be suitable since (they claim) the FPS is right under 1000? A: The muzzle velocity is 975 fps and the muzzle energy is 310 ft lbs. The heavier projectile will create more recoil energy upon firing, which may cycle a heavier spring slide like found in compact or sub-compact handguns.